If you are going to try your hand at cheating at cards, it’s always a good idea to try and stay ‘under the radar’. Racking up over nine and a half million bucks in winnings at one casino is not, repeat not, the way to stay under the radar. Atlantic City has some great casinos and a player with the proper backing can get into some pretty high stakes action there in New Jersey, but $9.6 million? How did they let that get so out of hand? Phillip Ivey Jr. already had a reputation as a top poker player when he sat down to play Baccarat at the Borgata Hotel Casino & Spa there in Atlantic City. Actually the lawsuit claims that Ivey hit that casino on four different occasions back in 2012 between April and October. Apparently there was a defect in some playing cards manufactured in Kansas City which Ivey and his associates exploited to cheat the Casino by having the ability to identify the ‘good cards’ from the ‘bad cards’ thus giving them a definite advantage in the high stakes game. 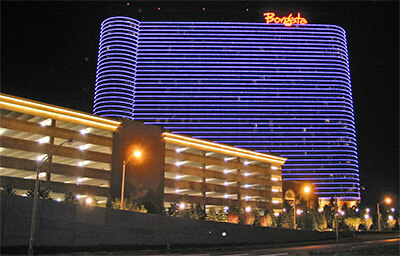 Whether the defect in the manufacturing of the cards was part of the plot or a simple oversight is still under investigation, but the Borgata Casino has filed suit in federal court hoping to recover all or part of the lost revenue they claimed was won using an unfair advantage by Ivey and his associates. The technique used in this apparent scam is known in the industry as ‘edge sorting’ which is specified as illegal in the New Jersey Casino Gambling Regulations. As it turns out the company that manufactured the playing cards, Gemaco Inc., is also being sued by the Golden Nugget in Atlantic City which claims that the company sold them ‘unshuffled’ cards that resulted in some lucky gamblers hitting the Nugget for over a million and a half dollars before the fault was figured out. Oddest of all, the decks of cards from Gemaco sported patterns on the back that were not uniform, Oh, really! Anyone who has played more than a few rounds of poker can quickly see how irregular patterns on the backs of the playing cards could result in some ‘hanky-panky’ at some point down the line. Mr. Ivey has now attained for himself an international reputation as a high stakes card player and as a cheat. He is being called to task by Britain’s High Court over a $12 million cheating scheme in Malaysia… once again the game was Baccarat!